I have my first audition in a few weeks. It's for a youth ballet company connected to my ballet school. However, I am worried that the judges won't see me at my best as my ballet school closes for the summer and I haven't had class in a while. I have been practising and stretching at home but I am concerned that I won't be in good enough shape by the audition date as I only have a few classes when I go back in September before the audition. I know that I perform well in exam situations but I'm very anxious about competing against many other talented dancers who have much more experience than me. Is there any advice you could give me to prepare myself in the short amount of time before the audition? Thank you, I would really appreciate your help! Thanks for your message on audition tips, it's really great to hear from you. I know exactly how you feel and can completely understand your worry. The one thing which can be tricky for all ballet dancers during holidays or even long weekends, is the need to do regular practice in order to feel in top shape after the break. Every dancer needs a rest though, so even professionals can have up to 5 weeks off for their summer break. For you, I would allow yourself to try and accept the fact you may not be at your 'best'. You would have to be in peak training to be in top shape for your audition. Don't get over worried, but you can do your best now given the circumstances. Keep stretching and you can do some pilates to keep your core strong. 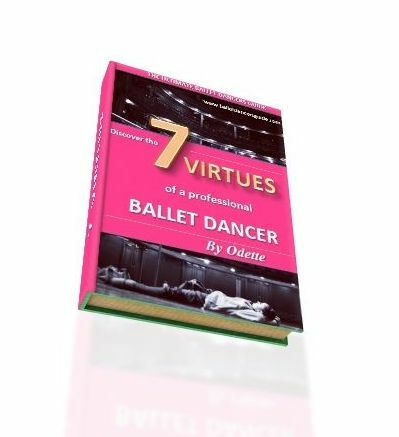 Take a closer look at the ballet workouts on my ballet videos page. You also want to think about doing cardio work to keep the stamina levels up in your body. Swimming is great for dancers and it activates all the muscles, whilst keeping them toned and lengthened. Also, in the audition keep confident and don't panick if your body or technique doesn't feel at it's best. I know how this feels, as I once did an audition after a very very long flight and also a week off dancing due to holidays. My body felt very stiff, but I still tried to do my best to DANCE, keep my eye focus and perform. Have confidence in yourself and keep stretching!